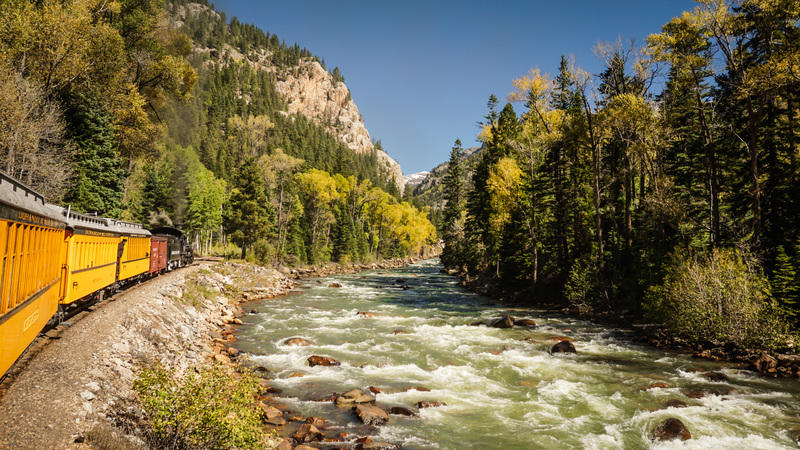 The Durango & Silverton Railroad was built in 1882 to transport silver and gold ore mined from the San Juan Mountains. Today it is a tourist railroad experience that starts in Durango and ends in Silverton. The trip starts in Durango, Colorado.